Last year I worked a wedding for a Bride with amazing decorative taste and a killer sense of style. The outdoor wedding was unique and looked like something you would see on the pages of a bridal magazine. Click here to check out our first post and pictures after our launch party in 2011. Happy 2 Year Anniversary, Lace Cosmetics! It's our birthday! 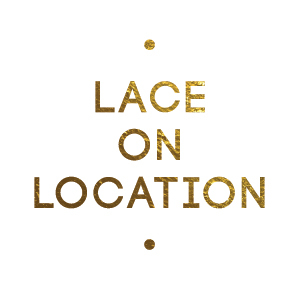 We are overjoyed to be celebrating Lace Cosmetics two year anniversary, today. It has been the most amazing two years of my life and I have all of you to thank. Making our clients feel beautiful, strong and empowered makes ever second of our hard work worth while. Thank you so much for your dedication to Lace and cheers to many more years of helping woman see their true colors. Shop online today at LaceCosmetics.com and receive 20% off your entire order with promo code BDAY2. Here is a quick stroll down memory lane.